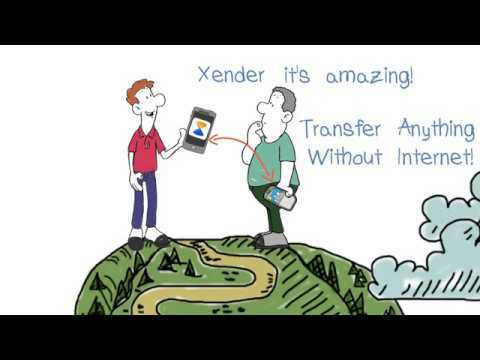 Xender is a high-powered sharing app with simple UI that will fulfill the vast majority of your needs as regard sharing. You can share all types of content, applications and files without usage of mobile data and without any restrictions or size limitation. Do it wherever you are and whenever you need, it is extremely simple. Choose from half 1 billion users. You can listen to music and watch videos directly in the app. It is 200 times faster in transferring process than Bluetooth. It is universal software — it supports cross-platform transferring between Android, Tizen, IOS, PC/ Mac and Windows systems. Connection between phones and tablets or PC/Mac is easy. It is popular — over 100 million files are transferred every day inter alia through Wi-Fi networks. You don’t need any USBs or boring installation of PC software. It works in a heartbeat — share your photos and videos in a matter of seconds. The app speed is up to 40 Mb/s. It is multilingual. There are translations to dozens of languages in this app. It is free of network connection. No internet, no cables, no data usage. The sky is the limit with Xender. Enjoy.